Less Noise, More Green: A week on my urban farm: Bees, fermenting, edible landscaping, snow and other growings on! 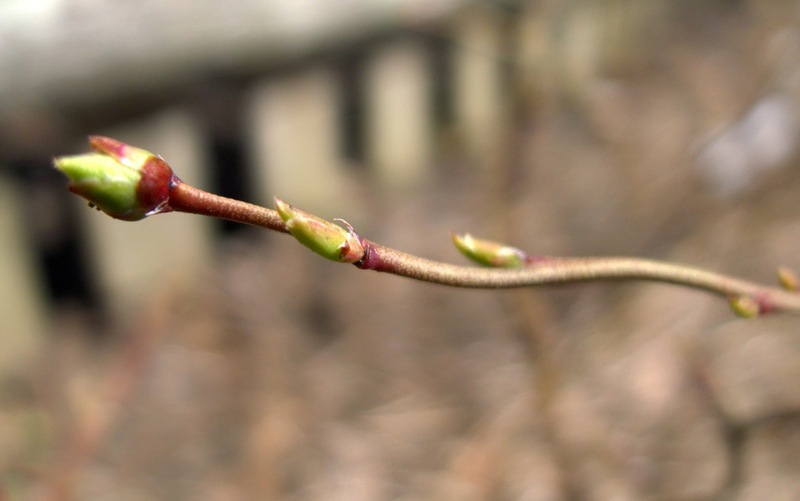 A week on my urban farm: Bees, fermenting, edible landscaping, snow and other growings on! This week has been a busy one, packed full of garden and kitchen activities. Having a productive urban farm means juggling multiple projects while planning out the next set of tasks. I love every second. Feeding my family with food I have grown, cooked and preserved is empowering.We are in the beginning stages of this cycle and I am feeling energized. 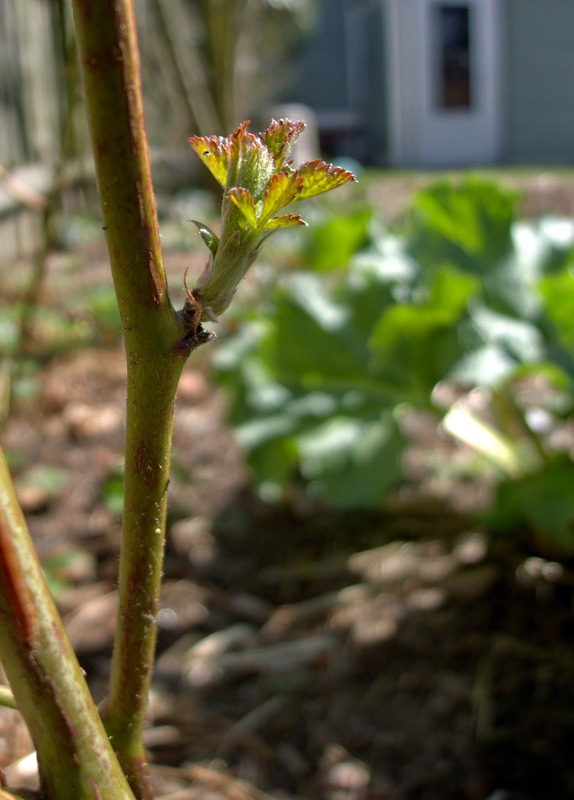 A warm start to the week encouraged more plants to burst into life, including my blueberries and blackberries. Then a cold front moved through bringing with it snow! The day it snowed was also the day the peas decided to appear. 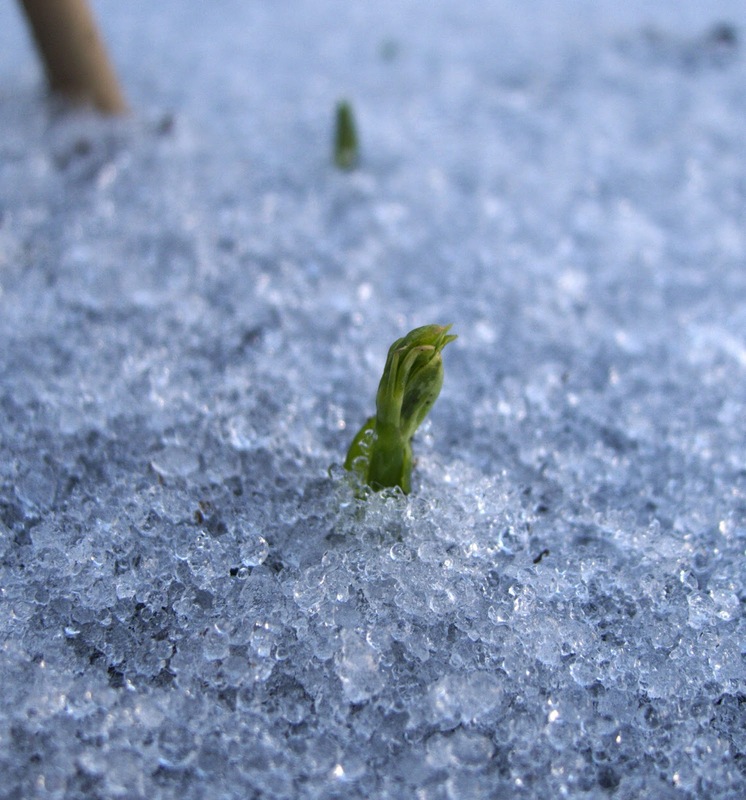 I love this shot of the pea emerging through the ice. 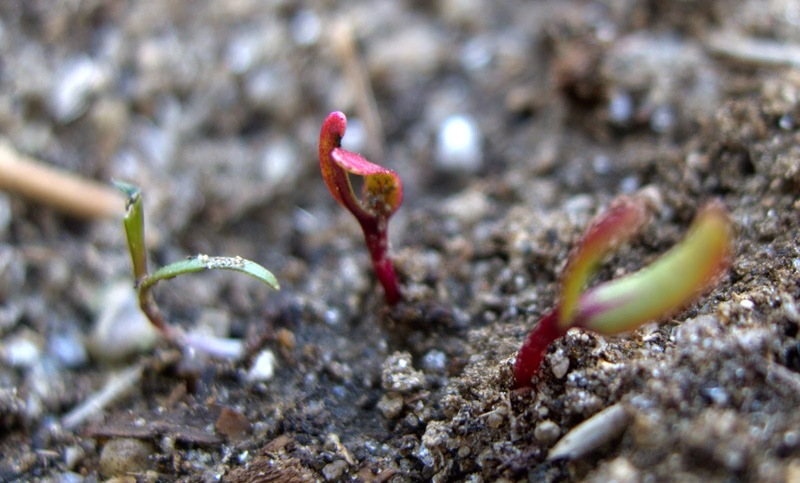 I had planted some radishes, lettuces and beets in my newly manured beds to see if they would sprout. They did and I am happy to report that they all survived the frost. We had no time to second guess our decision to remove all the shrubs in the front yard. My friend Charlie had his landscapers here two days after we gave the green light on the project. 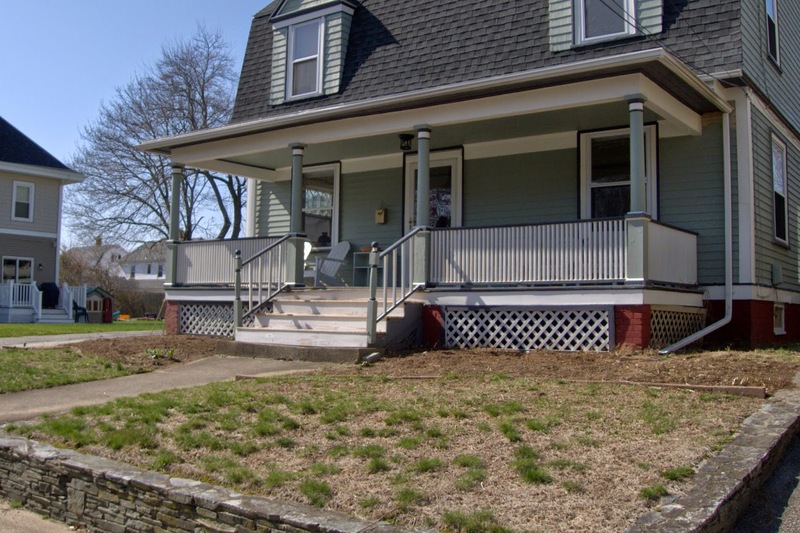 Boy, this house needs painting! Removing the shrubs also revealed more hostas to be dug up. Goodie! The cold weather and freezing nights did delay beginning the hardening off process for the cabbage and broccoli transplants. 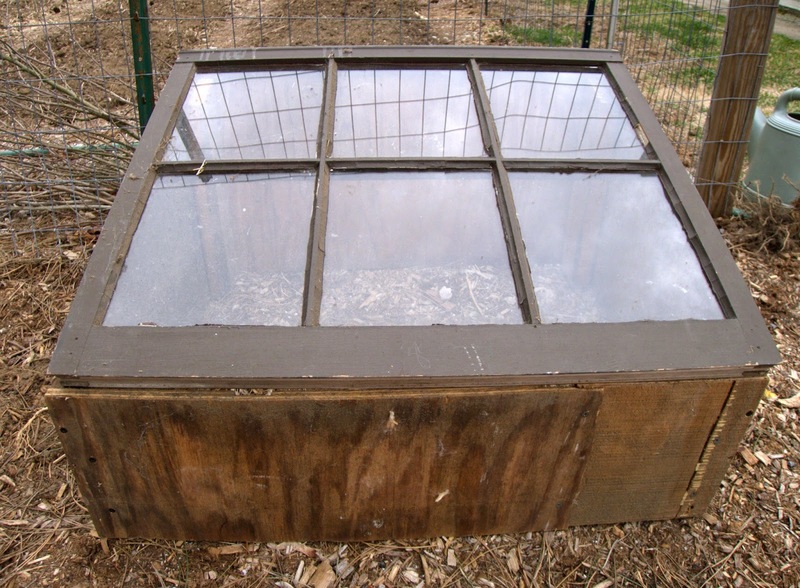 My husband pulled out our homemade cold frame for me but it's just too cold. I was also going to plant potatoes in bags but both these projects can wait until the weekend. I'm running out of grow light space so I can't wait too long to start hardening off! 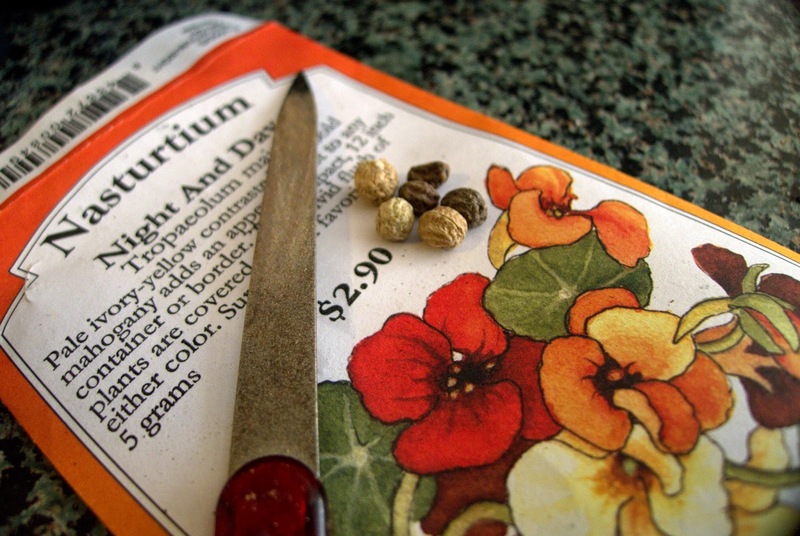 Use a nail file on nasturtium seeds to speed up germination. Seed starting indoors continues on schedule. Nasturtiums, calendula, marigolds (after a disappointing germination rate in round one) and violas, as well as cauliflower and a second try at ground cherries, which have not germinated at all. I have the seeds germinating on a heat mat. Anybody have any experience germinating Aunt Molly Ground Cherries? 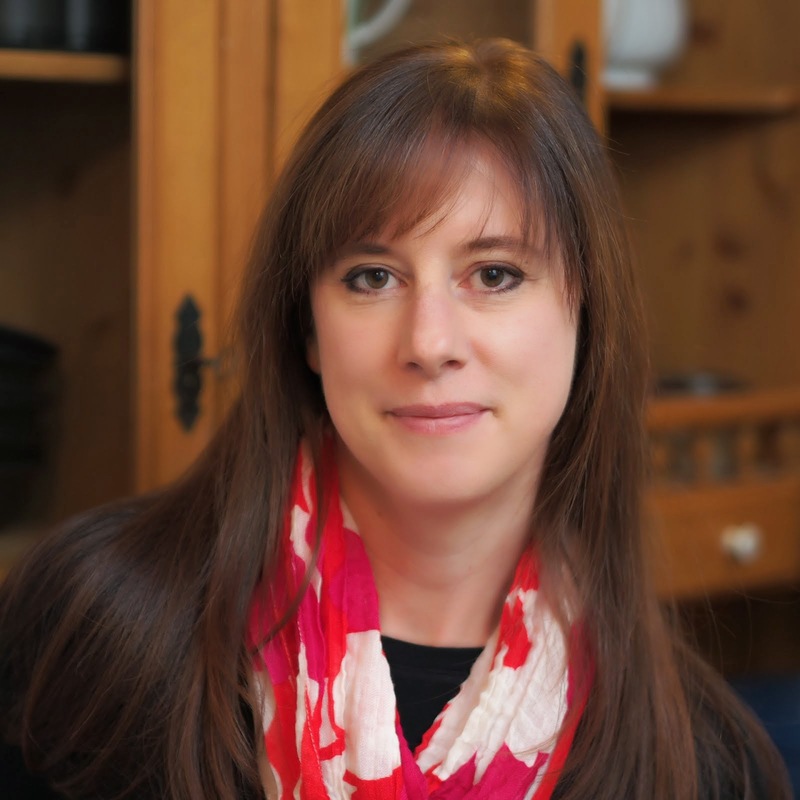 In the kitchen, I continued learning more about fermenting with wild yeasts. 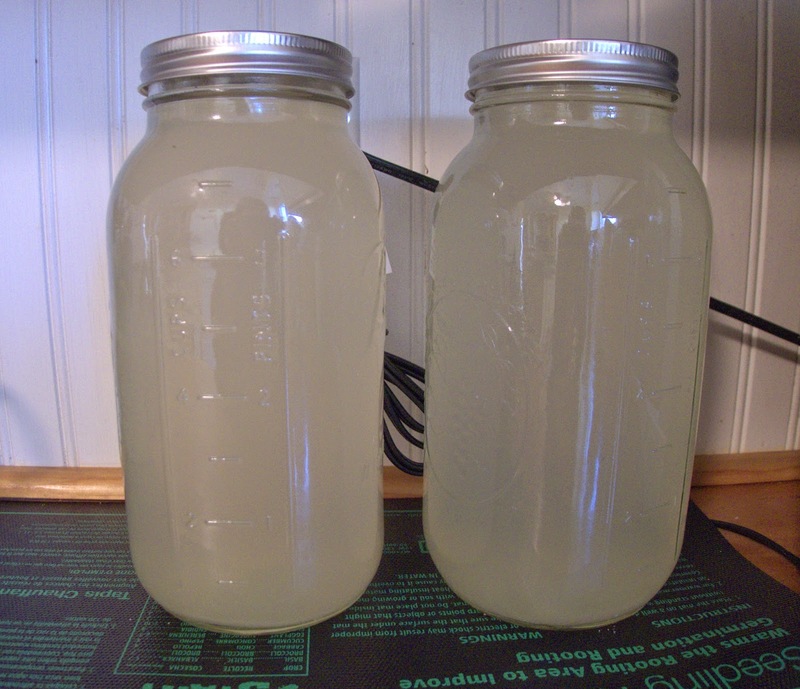 After creating a 'ginger bug', I started fermenting ginger beer, which will be ready in two weeks. I also began making an Ethiopian Honey Wine, which already smells amazing. Both will sit on one of my heat mats as they ferment. Has there been an outbreak of an infectious disease? Well, Computer Man has been down with the flu this week, but that's not it, silly! 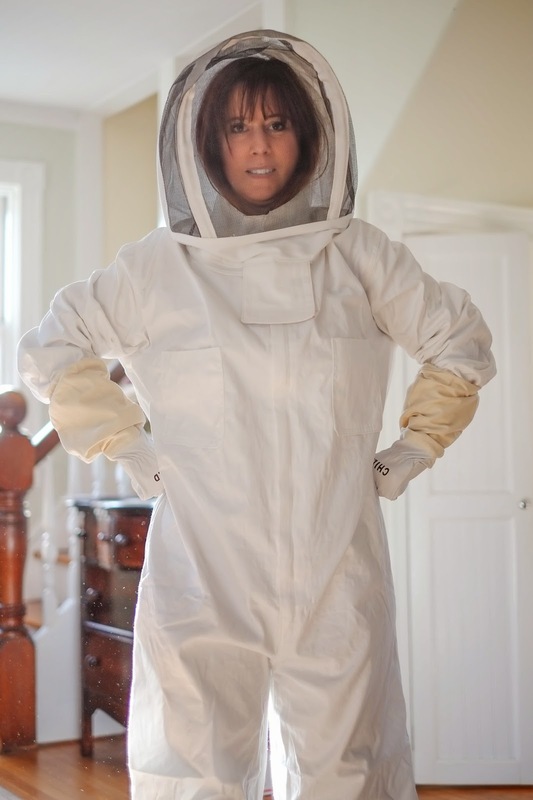 It's me in my fancy new bee suit! The bees at the Master Gardener Edible Forest Garden arrive in a few weeks and now I'm ready for them. My dog, Bandit, was not amused by the suit and got quite upset. He does not like change, that one. Have a great Holiday weekend, everyone.